Clever, kitsch or simply too much? 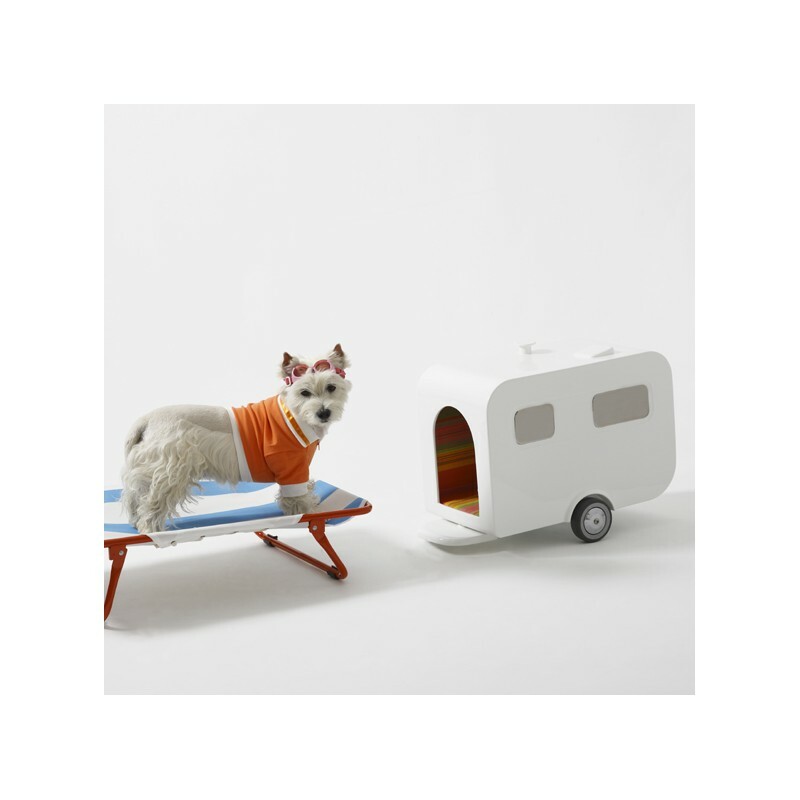 There are some pet owners who will go to the ends of the Earth to make sure their animals enjoy the same luxuries as they do, but can pets really appreciate this kind of high-end animal-oriented design by Wannekes? 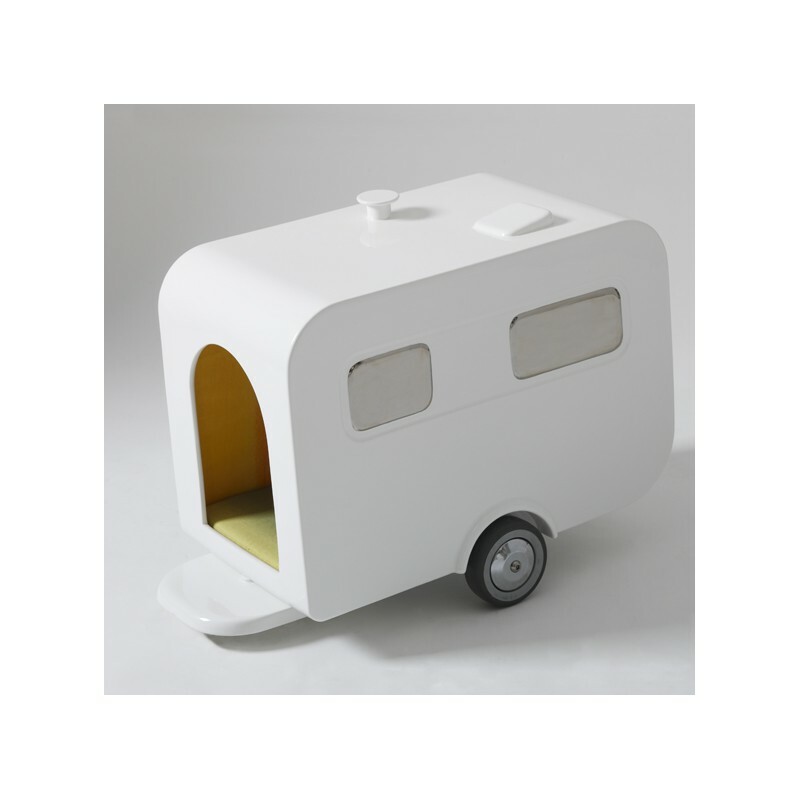 The Travel Dog House is a “luxury ceramic dog house by Marco Morosini for Bosa.” While it is a bit overdone from a stylistic standpoint, you have to admit that this pet suitcase carrier is at least kind of functional. After all, it lifts and moves like normal carrying case, though it would be nice if the dog’s entrance closed securely for transportation. 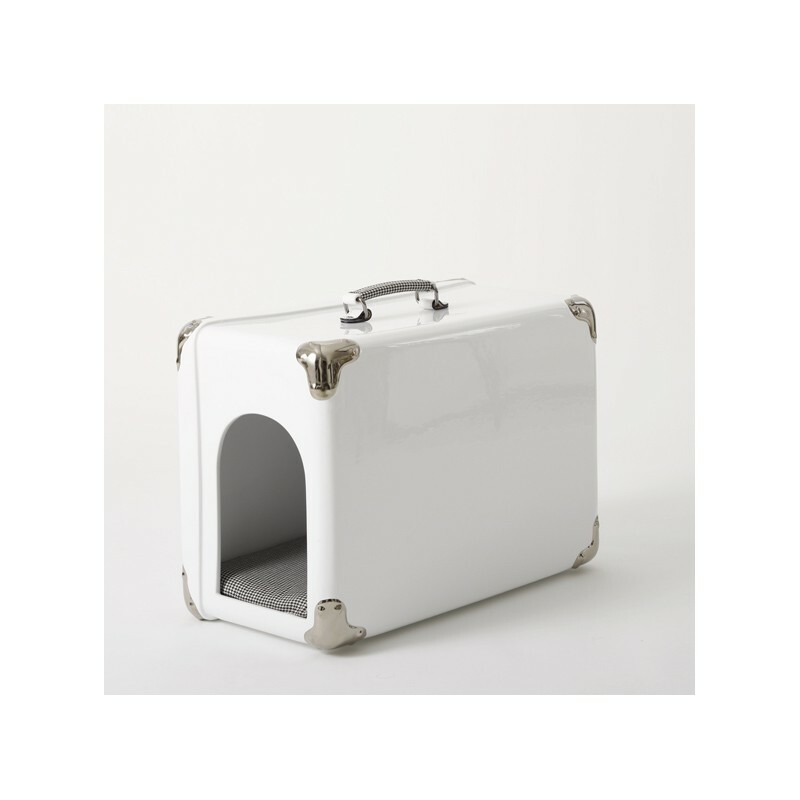 If you love this idea, it would also be pretty easy to DIY with an old suitcase and a soft dog bed. 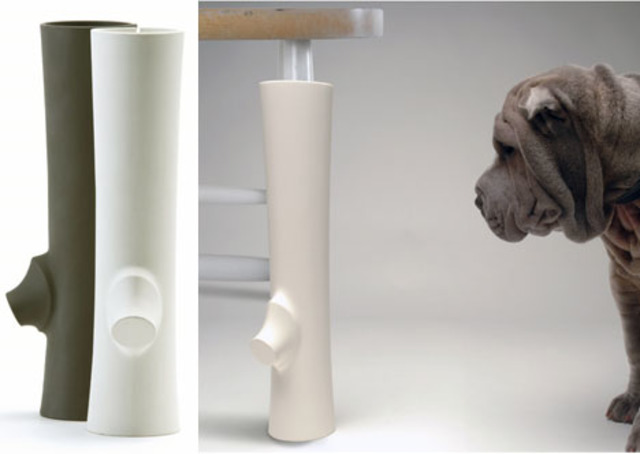 Perhaps more functional than the portable dog houses featured above, how about a chewable bone-shaped toy to wrap around your pet’s favorite table so they won’t damage the leg itself? Sure, these designs are a little over the top for the average dog owner, but we all know those people who call their dogs their children and refer to themselves in the third person as “Mommy” and “Daddy.” Maybe you’re even one of those people. No judgment! Dogs are precious and they deserve cool stuff, too.